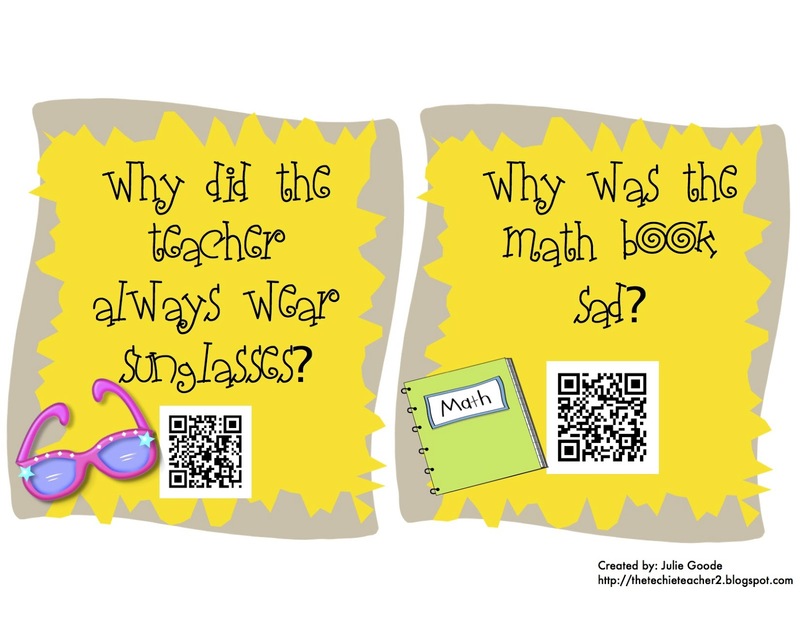 May QR Code Riddles Freebie | The Techie Teacher® . 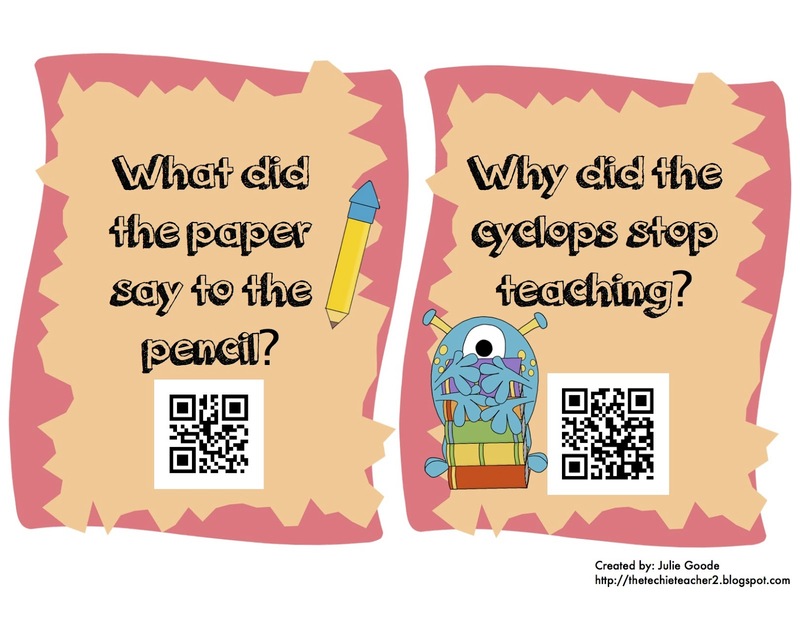 I LOVE hanging little QR riddles and jokes up for my students to solve. It really gets them thinking first thing in the morning and they enjoy it too! This is a set of 8 riddles/jokes about school. Just click on the images below to take you to the Freebie! 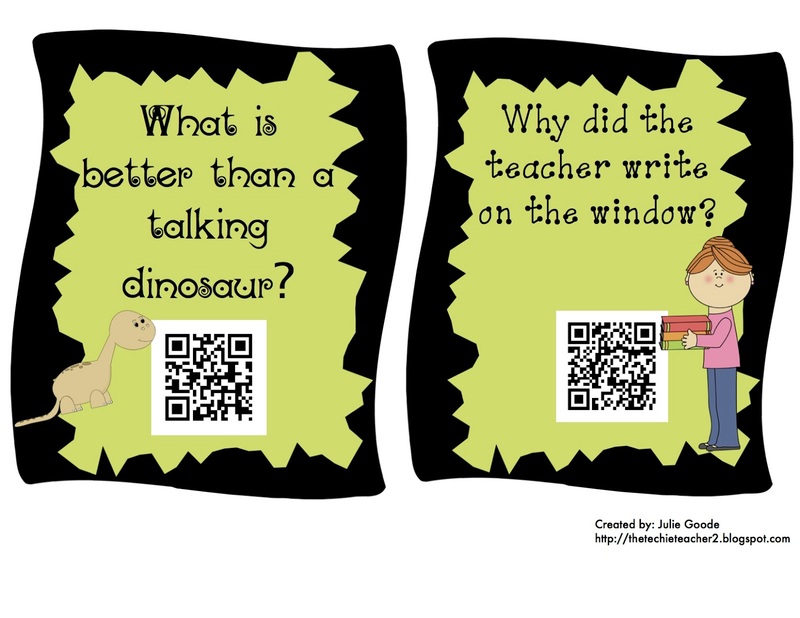 I so wish I had the technology available to do something like this with QR codes! My kids would LOVE this! Ah, someday! I feel your pain! If you have a local Walmart near your school, apply for a technology grant. I got my SMARTboard and two iPads from a Walmart grant! 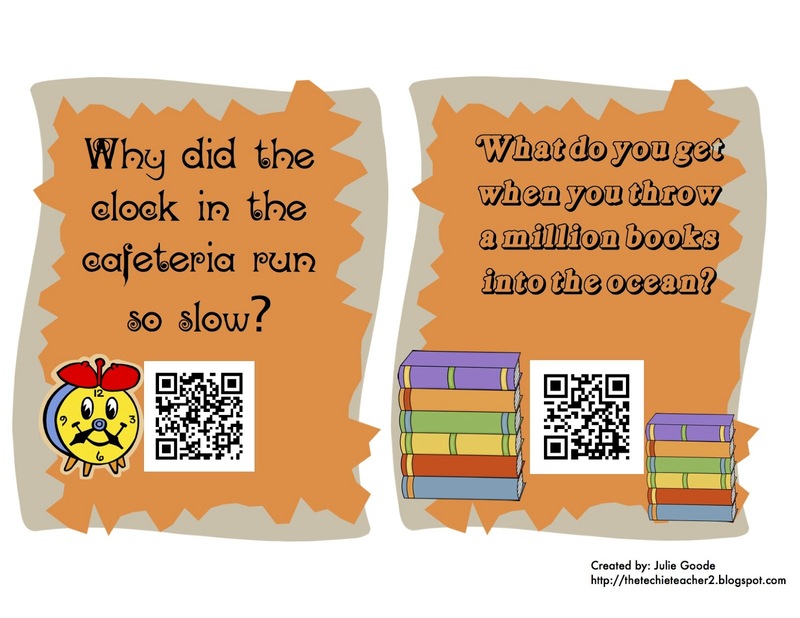 Also, your students might have iPod touches that they could download a free QR Reader and bring to school. I can't wait to try these for fun with my students. Thanks! !